Stellar | A shimmering light brown. 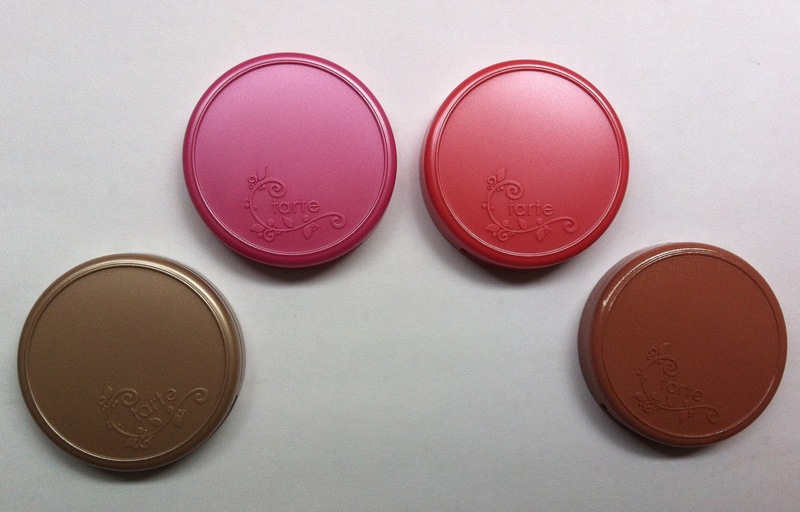 Great as a blush or for bronzer/contouring. These blushes are great quality. The colours stay true and last for hours. They are also easy to apply, going on smoothly, while being highly pigmented. My personal favourite is Angelic. I think it is such a great highlight colour! I love them all though and think they are great for anyone new to cheek products, as this has many staple colours, or someone who loves tarte blushes. I think the sizes are great; I don't think I could ever go through a full-size tarte blush! The only downside I see from this set is that the colours feel more spring/summer to me. The only one I have consistently used this fall is Angelic. I wish they had included a berry shade for the fall and winter months. Overall, I would highly recommend this set for yourself or as a gift. 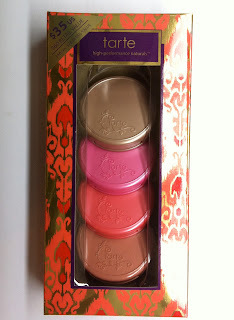 I have been so impressed by all of the tarte's "Baby it's Bold Outside" holiday gift sets this year. I have several on my list (such as the Carried Away collector's set.) Holiday gift sets are just such a great way to try a bunch of different products. What holiday sets are on your wish list or gift-giving list this year?